A traditional soul band drunk on punk-rock aggression. Check it out if you like greasy rock and roll, from Little Richard to the Sonics and Nick Curran. Whitfield and his band are one of those rare groups whose latter-day post-reunion work sounds just as good as their first go-round. 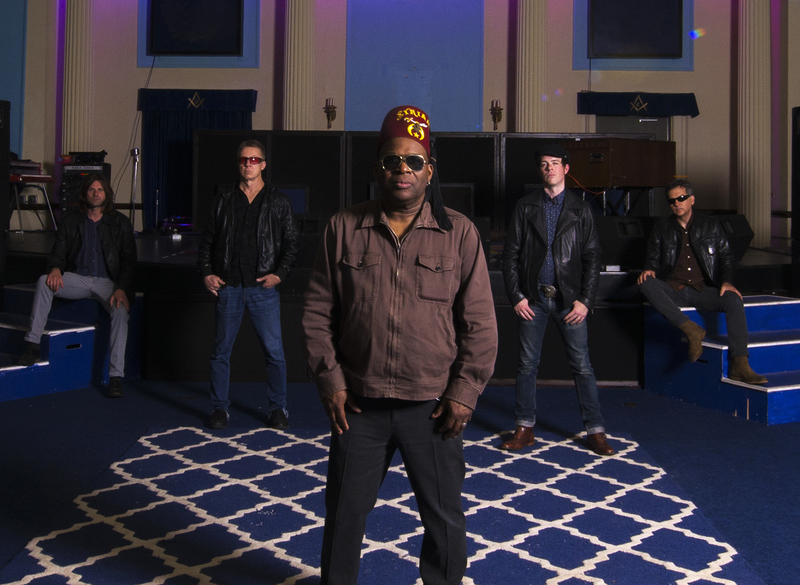 From a far out moon beyond the rings of Saturn to a dingy studio in Cincinnati, Barrence Whitfield and the Savages’ new platter embraces a cosmic and groovy unification. It’s a wild, electric phantasmagoria of blues, rock, garage, and soul; it blasts off into diverse orbits only to come back together into a singular Savage cosmology. Soul Flowers of Titan is about people shooting guns, separating, coming home (someday), falling in love, running around, leaving this earth, going crazy, drinking coffee, and thinking about Sun Ra. Titan is the largest moon of Saturn, a planet which astrologically symbolizes pain and struggle. Cincinnati, where the album was recorded (at Ultra Suede Studio), is home to many classic and unknown independent labels, like King and Federal, that fostered a frayed and raucous sound in the 1950s and ‘60s. With such history at their fingertips, the Savages could not resist the urge to celebrate and elaborate on this legacy, to go places high and low, faraway and downhome. Longtime followers of the Savage Sound will notice right away a heavier sound, a blast of B3 and Rheem organs (courtesy of newest Savage Brian Olive) and a live-in-the-room urgency. It’s a multi-faceted vehicle for a top-notch band wigging out with beefy, staccato blues scales, punk and garage riffs, fronted by a first-order shouter well-heeled in the aesthetics of soul, R&B, and rockabilly. Barrence’s deep, gravelly rumble anchors muscular struts into madness, out the door and off to Mars. 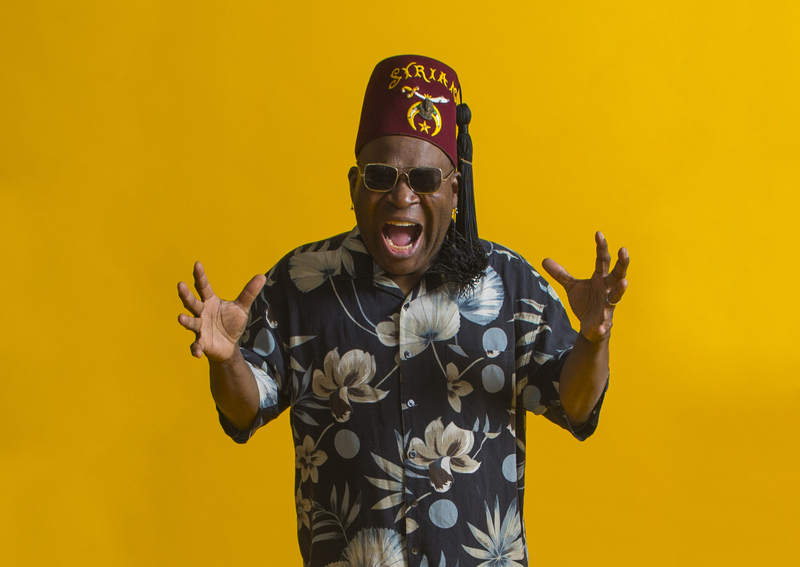 “Slowly Losing My Mind” and “I’m Gonna Leave You Baby” are by Federal alum Willie Wright and his Sparklers, while “Let’s Go To Mars” is an original by Savages guitarist Peter Greenberg and bassist Phil Lenker, written after multiple viewings of an early ‘70s documentary on Sun Ra. Also from the Federal canon is the Midnighters’ “I’ll Be Coming Home Someday,” done here with a somewhat menacing dark street corner doo-wop vibe. “I Can’t Get No Ride,” originally by Finley Brown on the M.O.C. label, will inspire you to Frug off towards a fantastical horizon. And try NOT to flip when the original raunchy rockabilly shuffle “Tall, Black and Bitter” hits the speakers. It’s an album that will take you everywhere and, in doing so, will bring you right back to the center. 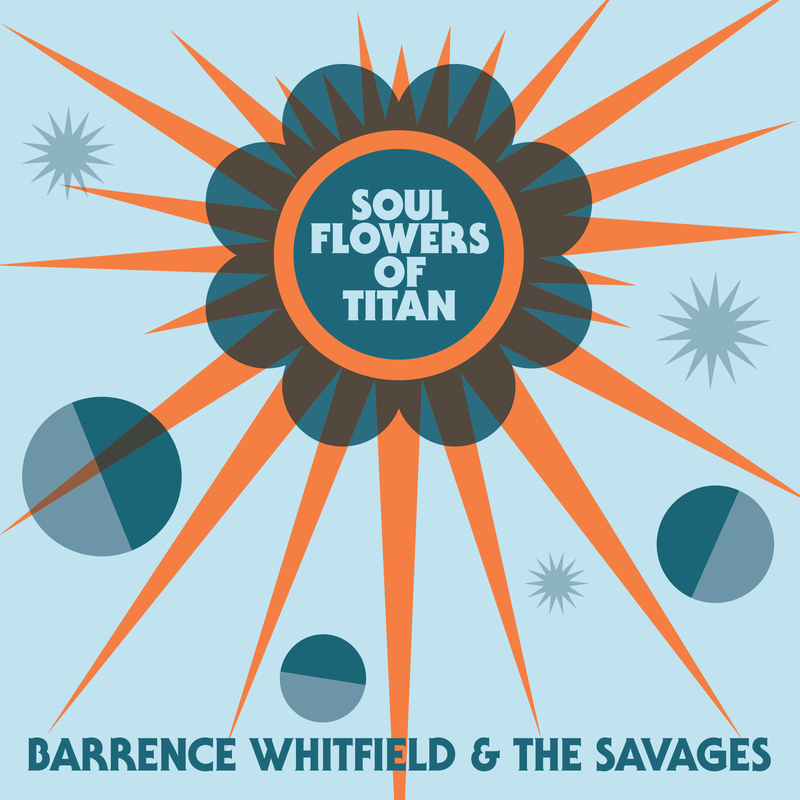 Soul Flowers of Titan is Barrence Whitfield and the Savages’ third LP for Bloodshot Records and fourth since reforming in 2010 after a 25-year hiatus. BW&S shot out of Boston in the mid-’80s with the force of a rocket ship. Through their sweaty dance party shows and love of primal soul, they were to R&B what the Cramps were to rockabilly—a gateway musical drug for nascent underground roots mavens. Along with original Savage Peter Greenberg (The Lyres, DMZ) and Phil Lenker, they released several records on Rounder Records, became a favorite of BBC DJ Andy Kershaw, and won seven Boston Music Awards. After they reunited in the 21st century, adding Andy Jody on drums and Tom Quartulli on sax, they released Savage Kings on Shake It Records and Dig Thy Savage Soul and Under the Savage Sky on Bloodshot. 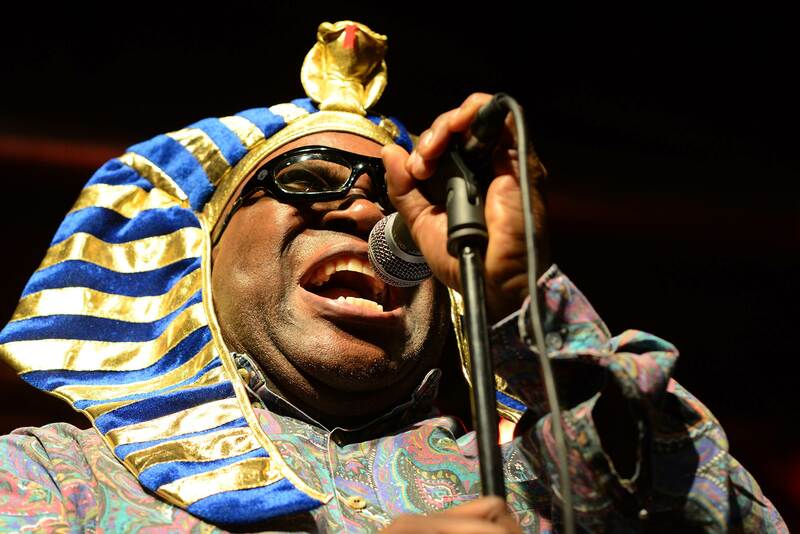 Barrence Whitfield is a full-throttle soul screamer in the spirit of Little Richard, Don Covay, and Solomon Burke. He has been described as the owner of one incredible pair of lungs, with limitless energy and unmatched enthusiasm for his music and his audience. BW doesn't want you to come to a show and stand around. He'll do flips if he has to. "There was one show in England where I opened for The Damned, and I started throwing cans of beer at the audience. The club owners were telling me, 'You can't do that!' I threw them out there for people to drink and have a good time. But I went too far and almost started a riot." 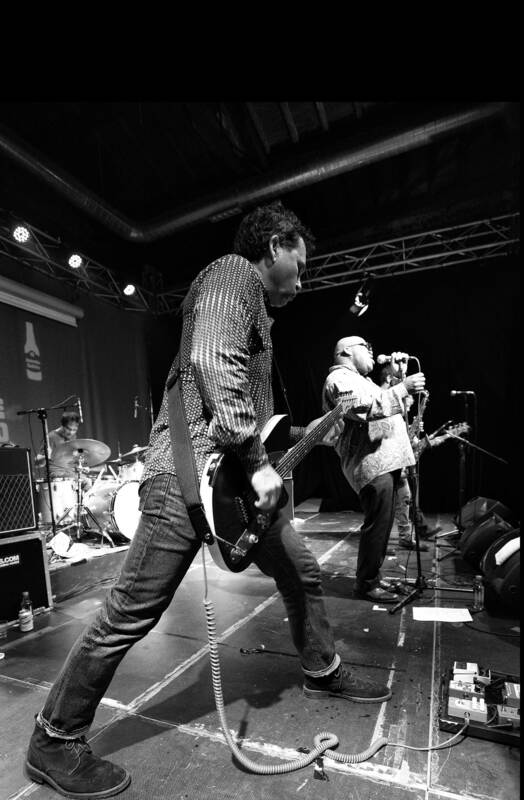 Barrence Whitfield & the Savages shot out of Boston in the mid-'80s with the force of a cannonball. Through their sweaty dance party shows and love of primal soul, they were to R&B what the Cramps were to rockabilly—a gateway musical drug for nascent underground roots mavens (including a wide-eyed, dewy-eared future Bloodshot co-founder Rob Miller). 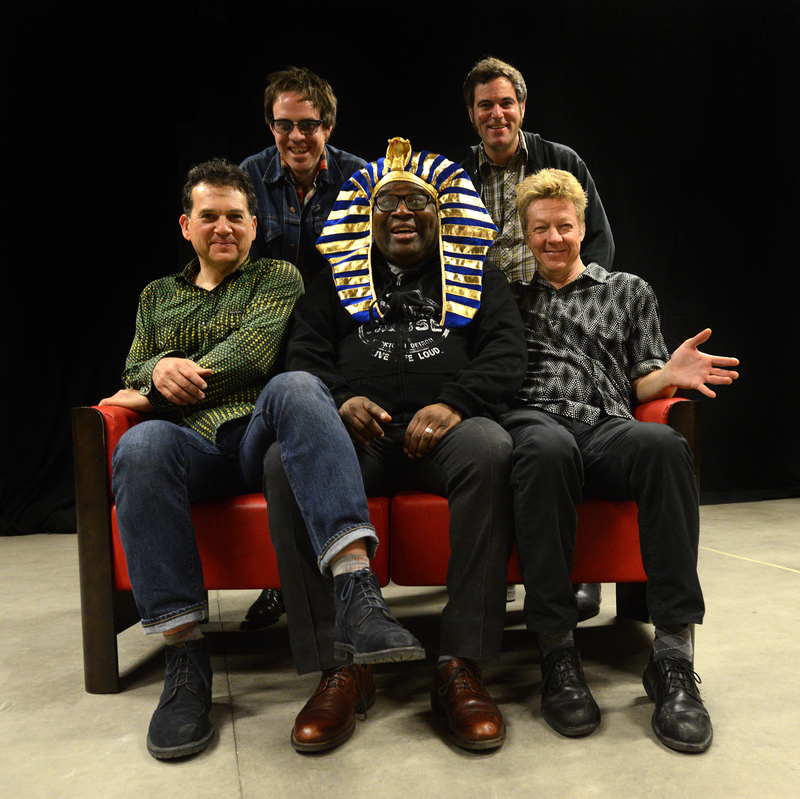 Along with original Savage Peter Greenberg (The Lyres, DMZ) and Phil Lenker, they released several records on Rounder, became a favorite of BBC DJ Andy Kershaw, toured with the likes of Bo Diddley, Tina Turner, and George Thorogood, and won seven Boston Music Awards. They reunited in 2011 with new Savages Andy Jody on drums, and Tom Quartulli on sax, touring with bands like The Sonics and appearing at SXSW and performing live on famed late night music TV program Later...with Jools Holland on the BBC in 2013. After they reunited in the 21st century, the band released Savage Kings on Shake It Records and Dig Thy Savage Soul and Under the Savage Sky on Bloodshot. Perhaps the world is ready for them this time around.